Sri Lanka’s National Single Window (NSW), when implemented, will allow businesses to lodge information and documents with a single entry point, to fulfil all import, export, and transit-related regulatory requirements. Currently, Sri Lanka is at the beginning of the project life cycle in the establishment of a NSW, with the development of a NSW Blueprint to be released soon. In this blog, Janaka Wijayasiri deliberates on the implementation process of the NSW. 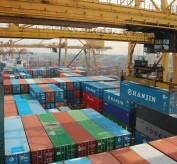 Sri Lanka is committed to establishing a National Single Window (NSW) for international trade as a policy priority. This blog by Janaka Wijayasiri explores the different options for the country’s NSW operational model. A policy decision in this regard will help determine sources of funding for the project, its implementation, budget, and fees to be charged for the services provided by the NSW operator. With the Malaysia’s Prime Minister, Najib Razak’s visit to Sri Lanka, there has been a renewed interest in entering into a FTA with Malaysia. 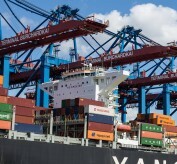 If such a FTA comes into fruition, how will it impact Sri Lanka’s trade? Preliminary estimates by IPS suggest that likely gains from bilateral trade liberalization in goods will be limited to few products, but there might be gains from other areas of cooperation, namely in investment flows to Sri Lanka. Crunching the Numbers: What is the Real Export Benefit of GSP Plus to Sri Lanka? Since Sri Lanka regained the EU’s GSP Plus facility last month, there have been varying views on its actual economic benefit to Sri Lanka. This article by Janaka Wijayasiri numerically estimates the export benefit of GSP Plus to Sri Lanka, identifying the leading beneficiaries in the country and their gains. 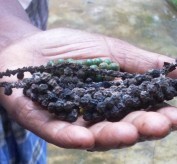 Sri Lankan pepper, like other spices from the island, is famous for its inherent quality. This article highlights the need to collectively upgrade standards governing the product and production process across the pepper value chain in the country to boost pepper exports and competitiveness.